Google today announced that Chrome will soon get a new feature that aims to stop mobile subscription scams. Those are the kind of sites that ask you for your phone number and that then, unbeknownst to you, sign you up for a mobile subscription that’s billed through your carrier. Starting with the launch of Chrome 71 in December, Google will pop up a prominent warning when a site doesn’t make it clear that users are signing up for a mobile subscription. 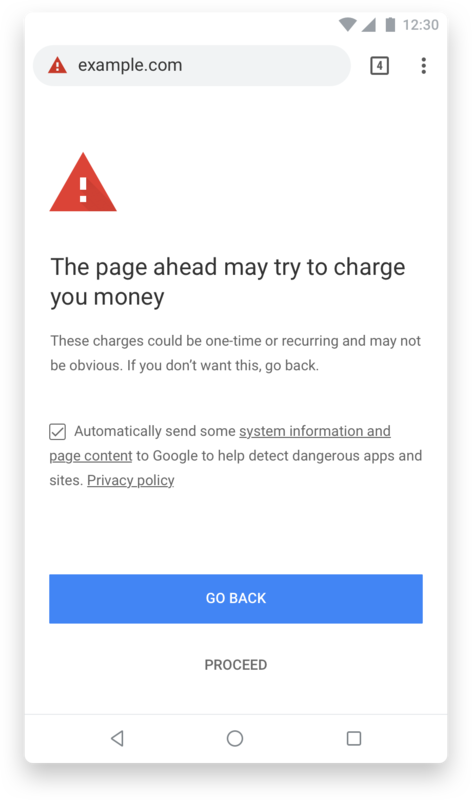 To make sure that developers who are legitimately using this flow to offer users a subscription don’t get caught up in this new system, Google also published a set of best practices for mobile billing today. Generally, developers are expected to make their billing information visible and obvious to users, display the actual cost and have a simple and straightforward fee structure. If that information is not available, Google will throw up a prominent full-page warning, but users can always opt to proceed. Before throwing up the warning page, Google will notify webmasters in the Search Console when it detects a potential scam (there’s always a chance for false positives, after all). This new feature will be available on both mobile and desktop, as well as in Android’s WebView. Robot maker Fanuc plans $51 million facility in Mich.